Would you like to visit a place which makes you feel all sad and depressed? The answer will be a big NO. This is the reason why it is important to be happy at work place. If you are not happy with the place where you are working day in and day out, then it will be a huge drawback for your profession. You will not be able to work efficiently and poor performance will not lead you anywhere. Your workplace must be such where you want to go back every morning and stay refreshed all the way through. It might be your colleague or the environment that is making you happy, but it definitely has to be something that will attract you to your workplace. Even the big companies know that happy employees are the reason behind increased productivity and timely completion of the project. Therefore, they make it a point to improve the work culture and bonding amongst the employees in the office. Rewards and office outings are arranged in order to enhance the relationship amongst the employees and management as well. There will be very few absentees in the office because the employees will be looking forward to coming to the office the next day. 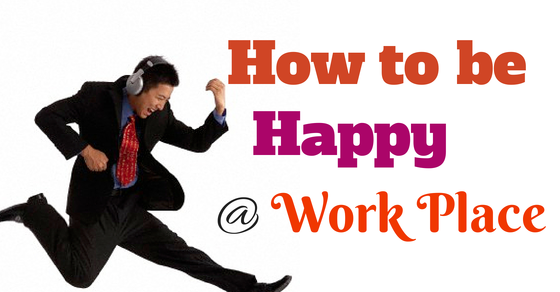 If you want to be happy at work place, then here are some of the tips that you can follow in order to enjoy your days at the office with your colleagues and make it a fun place altogether. We all love to get a pat on our back when we accomplish something which seemed impossible in the beginning. As a matter of fact, if we go out of our comfort level and work out something, then a few words of appreciation works wonder. So, as a manager if you have employees who have been working really hard to meet the deadline, then appreciate them in front of others for achieving the goal. This act will inspire others as well and they will also start working harder to get that pat on their back. So, it will not only make employees happy because their effort is getting recognized, but will also inspire others. If you think you want to be happy then you can be happy, no matter what. But, if you don’t feel like smiling, then no one will be able to make you smile. So change the state of your mind and decide that whatever be the situation, you will find happiness out of there and keep smiling and also make others happy. In order to achieve that you can stay away from negative comments and gossip mongers. This is the best gift one could have at their work place. When you have people around you who love to have fun, you will automatically get on board with them and start enjoying the days. If you have a mentor who is highly knowledgeable, then you wouldn’t want to miss an opportunity of being with him and grasp all the knowledge he has because it will help you in growing in your career and will also make you happy. The onus of professional development is entirely yours, so if you think that your manager will help you out, then you are in for a setback and depressing moment. Therefore, it is best to avoid this kind of expectation from your manager otherwise you will not be able to stay happy at your work place. We will be able to perform to the best of our ability when we are provided with the best training. So, in order to have a happy and content employee a good training program is a must. There are some benefits that can be provided to the employees to make them happy at work place like a free lunch or maybe a chocolate treat hidden in their desk when they have performed really well or when they are down due to some reason. These kinds of benefits will surely help them a lot. Few hours can be dedicated to some kind of gameplay on Fridays, in order to make it more enjoyable for the employees and making them happy. When your desktop is all cluttered up it seems that you are all worked up, instead if you clean up your desktop and have a nice wallpaper, then it will definitely lighten up your mood and make you feel better. If you have been looking for a DVD and find it on your desk the first thing in the morning, then definitely will make you happy. You will be spending 8 – 9 hours daily on that chair, so it must be very comfortable or else it will be painful for you. As a manager, your team will appreciate if you know each of them by names and address them by their names. It will make them happy and it will get reflected in the way they work as well. Go to bed early because that will help you to wake up early and you will not be running late for your work. You will be at peace with yourself when you land up at your work place and wouldn’t be all stressed out about coming in late. When you are at the office, it is important that you keep the personal problems at home. It doesn’t matter whether you had a big fight at home or not, in the office you will have to concentrate on the work. When you step into the office, wear your smile and wish everybody good morning to everybody you meet. It is a great stress buster and within moments you will start feeling good as well. 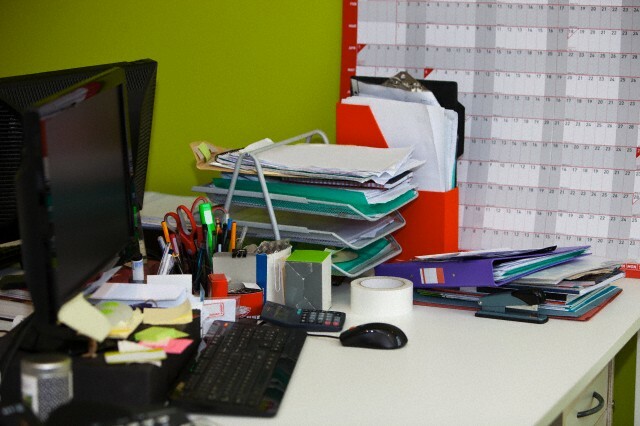 Would you love to see all messed up desk, the first thing in the morning? Never, therefore, when you leave for the day make it a point to clean up all the mess, so that when you come back next morning you find it all nice and good. It is more important to feel proud of what you do and it will enhance your mood more than anything else. When you respect your clients as well as your customers, the feelings will be reciprocated and that will definitely boost you up and make you happy as we all love it when someone respects us. 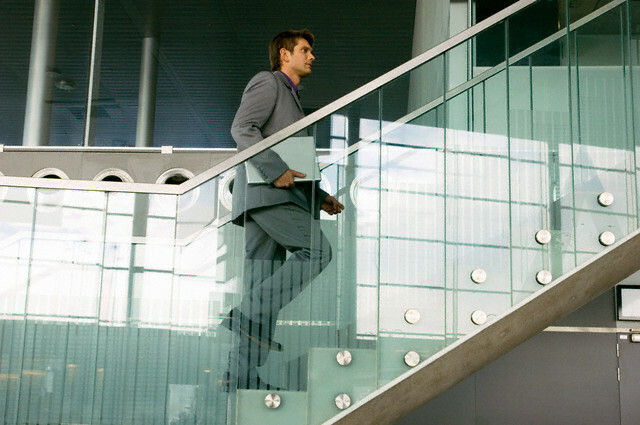 In order to stay active you will have to hit the stairs rather than taking the lift or walk till the corner of the street to get your cup of coffee, instead of going for the vending machine. In order to stay happy at work place you need to take small breaks. It will help you to concentrate more on your work and will also not stress you out while you are working. When you are doing some meaningful job, then it will obviously make you happy. You will feel that you are contributing towards the growth of the organization, so it is quite satisfying. It is gratifying to see so many people looking up to you and relying you for their work to get completed with just a nod of yours. This very thought will make your day. Meditation will help you relax and keep your mind calm and composed. Meditation allows you to deal with stress, anxiety and depression. As a manager, if you say Hello to your employees and ask them about the weekend and their families, then it will make them feel happy because they will know that someone is concerned about them. You must encourage your employees to go on holidays, it will make them happy and will return to work with double excitement. It will help them work better as well because the trip and the family time will leave them refreshed and motivated. Happiness is contagious, therefore, if the boss is happy, then it will definitely make the employees happy too. You will feel that natural light brings in a positive energy and provides a feel good factor rather than the place where the light is dim and you hardly get sunlight through the windows. Have a tasty cup of tea or a strong coffee at the start of the day and you will be all charged up for the day and it will raise the mood. In case you are feeling down, some good music will help you rejuvenate. So, have the collection handy on your smartphone or iPod and listen to them when it seems nothing is going right. Some office allows listening to music while working, but there are some which restrict the playing of music at work place. For places like that you can chill out while listening to your favorite music during your breaks. If you are allowed to leave the office to attend to some personal business, then we will all love our job because it allows us to maintain the perfect balance between personal and professional life. 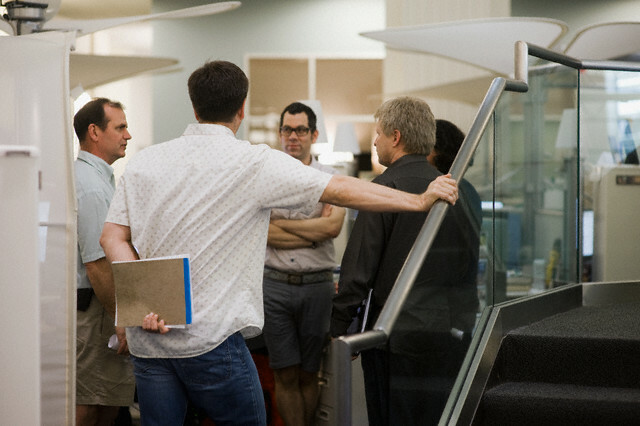 If you have an open minded colleague, then you will enjoy the work because you will be able to crack some jokes to which your colleagues will respond. If the interiors are well decorated and don a bright color, then it will hike up your mood and you will enjoy going to the office every day. The color will have a soothing effect on you. During your break, do something that will help you relax and enjoy the time spend away from work, so that when you go back to work you will be able to concentrate on your work even better. If you have talented people all around you, then it will help you gain knowledge from everybody and you will be in the company of some of the best talents. Brainstorming session will allow you to put your brain to work and you will feel like contributing to the organization by coming up with ideas that will help the organization in a positive way. Don’t forget to ask for feedback from your boss as often as possible because it will help you to improve your skills and you will be able to work on your shortcomings. In order to know what is happening at work place you will have to take the initiative of getting the knowledge rather than waiting for your manager to feed you with information. Stress increases when we are not able to keep up the promises we made and that becomes a huge concern. But, if you only commit to those that you can keep will help you to reduce the stress level. When you will be able to keep up your commitment, you will be happy too. Sometimes, it seems that the lack of courage ends up giving you a lot more stress. If you would have shown the courage and stood up for what you believe, then it would have been much easier for you to face the situation and be happy about the stand you made. If nothing is working out in your favor and you have tried in almost everything, then try looking for a better job which will give you a reason to smile. There is no need to make the meetings scary with all the bad numbers put in front of you, instead look for the numbers that are encouraging and discuss them with the employees in weekly meeting to make them happy. 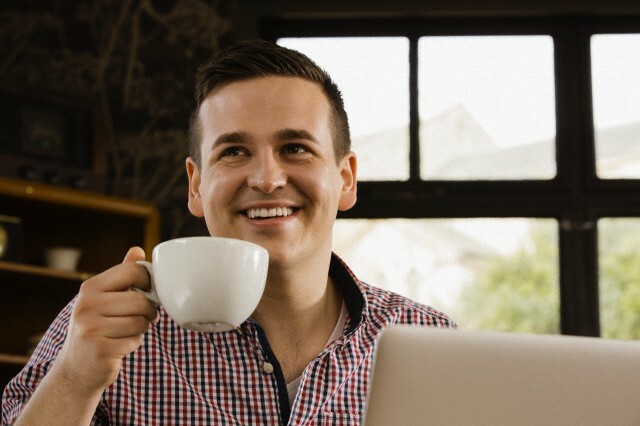 Many might feel that it is a bad habit to have, but if you look closely you will see that taking small breaks every few hours will leave them more refreshed because during that period they are away from the computer screens and enjoying themselves, to come back and enjoy the work they are doing. Don’t think about money all the time, instead offer your employees paid off days when they are not expecting and see how happy they look. Healthy body is home to healthy mind and in return happy mind. So you can build a gym, where the employees will be able to work out for free of cost after work hours. 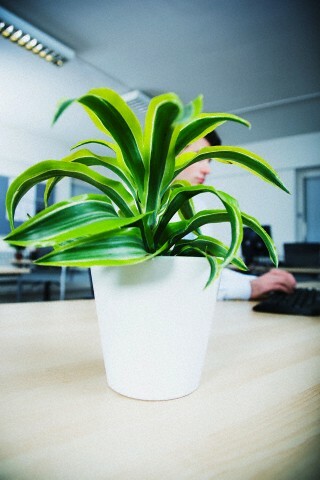 Have some fresh plants planted on your floors, so that the workers have some greenery around them, which will help them relax their mind and make them feel happy too. Office is a place where you go through several ups and downs all throughout the day, therefore it will be really good if you can think about the positives that has happened and also go through the negatives at a glance, so that you can avoid them the next time. When you are doing something, concentrate and focus on that only and do not think about thousand other things. It will help your mind to relax and will not jumble up everything. When you are sending an email, it is important that you calm down because most of the time when we are angry, we write all sorts of things that we wouldn’t have done if we were all calm and composed. Therefore, before sending in the message and creating many more problems for you, it is better that you calm down and go through the message to see whether you really want to send it or not. Sometimes the reason of our stress or boredom is that we tend to continue doing things the same way for days. So, in order to take a break, it is better that you do things differently someday just to break the momentum. When you are talking to your colleague make sure you have the correct body language else you will end up giving wrong signals to your colleague and end up adding some more stress in your work life. It is important to take care of your body language. Next articleHow to Become a Recruiter with No Experience?